mkCellular provides wireless voice, messaging, data, and mobile internet services to customers throughout Fort Atkinson, WI and beyond. The high quality U.S. Cellular network is national, and any customer of U.S. Cellular has the freedom to not be tethered to a few towers but to live, work and play with access that goes beyond city limits. We offer some of the most innovative smartphones, Internet devices, tablets, and cell phones powered by iOS and Android operating systems. We work with all the top wireless brands including Apple, Samsung, Motorola, LG and ZTE. 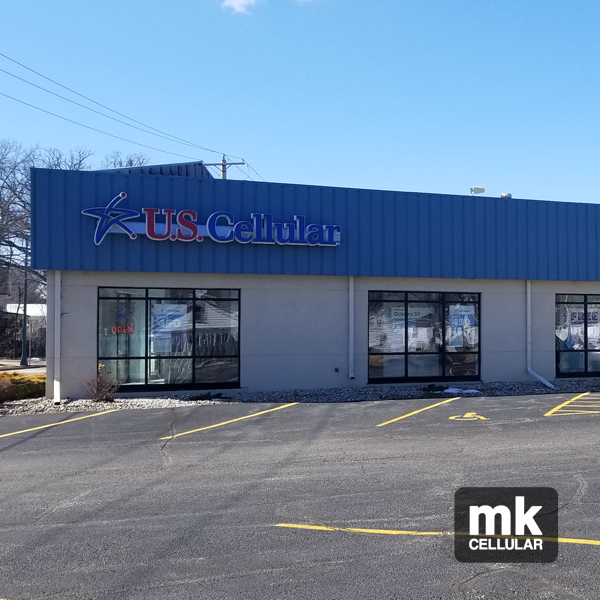 At mkCellular we believe the right wireless devices and cell phone rate plan, including prepaid, can enhance the lives of our customers living in Fort Atkinson, WI. On our Total Plans, get all the data you need without hidden fees. Stay connected with our affordable home phone services and high-speed internet. Powerful business solutions, including unlimited talk, text, and data plans on U.S. Cellular’s nationwide network, can help small businesses and corporations in Fort Atkinson, WI succeed. Our affordable wireless service, unmatched customer service, award-winning network, and our top-rated wireless devices are all designed to do one thing: help the people of Fort Atkinson, WI stay connected to what's most important to them - at home and virtually anywhere they go.